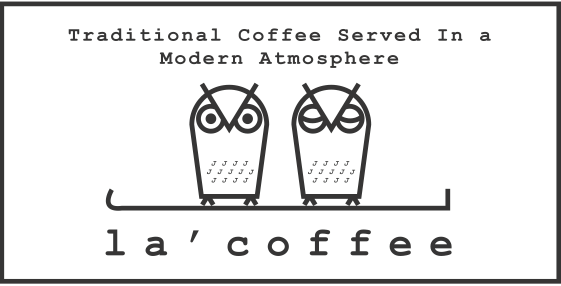 If you are thinking that the La'Coffee is "Los Angeles" Coffee, you and me should have a virtual high-five! That was exactly what I thought it stands for when I first saw the name of this cafe. But no, you have to read this name the Singaporean way: "la" (third sound in Han Yu Pin Yin) kopi. I was pretty sure I had to order in dialect when I get there, given the very Singaporean name. There was no auntie when the Evilbean reached there though. And the greeting was "Hello!" instead of the "Xiao Di, yao shen me?" (Literal translation: What do you want little boy?) you hear in coffee shops. You must be wondering: What kind of menu do they serve in this cafe? Only kaya "lotis" (bread)? Well, to save you from Googling, the considerate Evilbean took photos of everything in their menu because he is that awesome. Click/Tap on the photos for larger versions! The set consist of a Loti (Kaya/Butter Sugar/Peanut), 2 Half Boiled eggs and Coffee/Tea. I opted for the Cafe Au Lait (additional $1) as I do not really like Kopi-O. Firstly, the Kaya Loti. It was crisply toasted and the kaya filling was nicely spread. However, it was not served hot to us and that took away one evilbean from the rating. For the Cafe Au Lait, the coffee base is what you would expect when you order from a coffee shop - strong and aromatic. The milk froth was too thick and not creamy enough. I felt that I was drinking two layers - the coffee and the milk, instead of a blend of coffee with milk. The eggs were scarily big. The size of the egg yolk is like the size of the worst pimple you had ever gotten. Kudos to la'coffee, as their eggs were PERFECTLY done, half-boil style. A drizzle of their Kikkoman soy sauce and a few dashes of pepper and I was all eager to slurp the awesome, runny eggs in one mouth! Their wings are marinated in-house with garlic and "fried to perfection". Are they really perfection? YES. OMG. These wings are SO GOOD that I exclaimed on Instagram (@Evilbean) that we should totally add them to Singapore's Best Chicken Wings list! Each wing was flavourfully marinated and their insides were really juicy! The vegetables are also a thoughtful addition for you to chew on to balance out some calories. Overall, I really liked the ambience at la' coffee. My advice to you is to take the seats that are facing the full glass windows as you will be able to soak in the amazing architecture opposite the cafe. To me, the view has some sort of Hongkong feel, teleporting me momentarily outside of Singapore. Also, how not to love this cafe when they were playing SNSD's Gee (YOOONAAAAAAA) and APink's NoNoNo (NA EUNNN) on their playlist? - A good place to chill with reasonable prices. The vast variety of food also means that there will be something that will suit your palette!